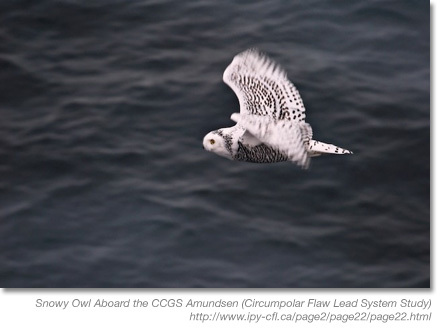 Environment Canada spotlights Canadian research projects from the International Polar Year (2007-2008), a two year multidisciplinary scientific program organized through the International Council for Science (ICSU) and the World Meteorological Organization (WMO). The international program involves over 60 countries, and includes research on changing snow and ice conditions, global linkages between polar oceans and global fisheries, the impact of pollution and climate change on communities and food systems, and promoting public awareness through international collaboration and partnership. The Government of Canada’s program for IPY has dedicated $150 million to support 44 Canadian science and research projects. Working together with international partners, the projects address two areas of priority for Canadian northern science and policy development: science for climate change impacts and adaptation, and the health and well-being of northern communities. Click here for a list of featured projects and links. Thanks for sharing this. The picture of the snowy owl is awesome. Most reports like this feature terrible photography.